An Oregon woman visiting family members in California is locked up on child endangerment and drug charges after she made a cup of methamphetamine-laced tea from which her two-year-old granddaughter drank, cops report. 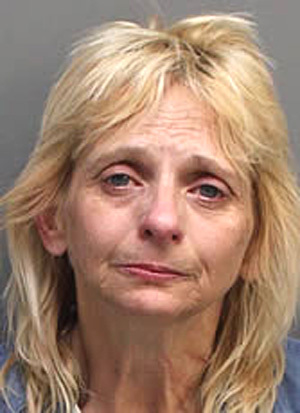 The woman told Riverside County Sheriff’s Department deputies that she took her daughter to a local hospital, where tests revealed the toddler had methamphetamine in her system. A subsequent investigation determined that Watson had “made a cup of tea the night before and placed methamphetamine in the tea to get herself high.” At some point, Watson left the tea unattended on a counter, where the young victim found it and drank from the cup. Seen in the above mug shot, Watson was booked into the county jail, where she is being held in lieu of $35,000. The child, who is out of the hospital, is expected to make a full recovery, according to deputies.